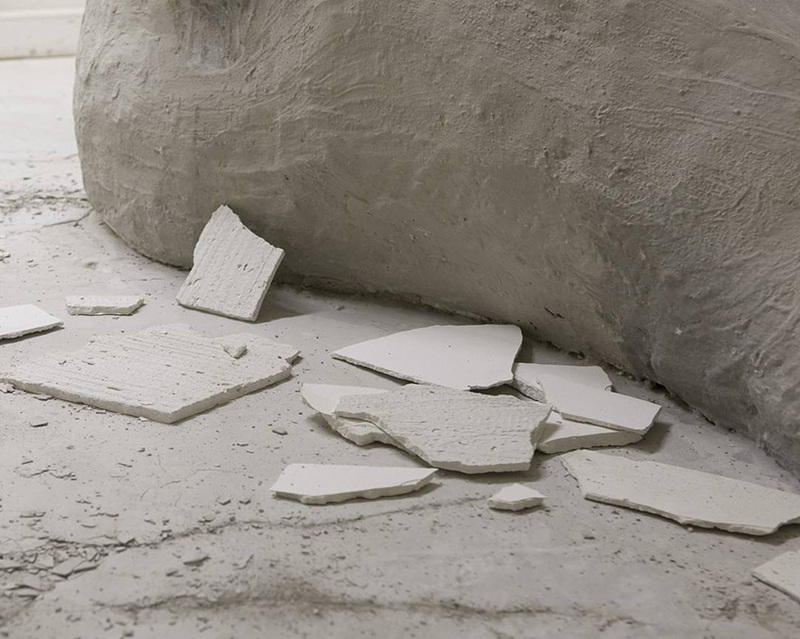 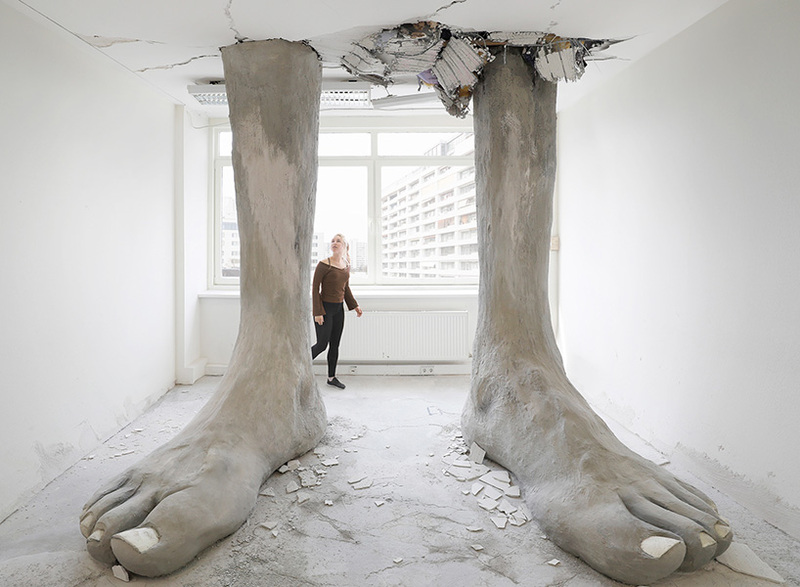 giant legs tear through the ceiling in this monumental installation by spanish artist mario mankey. 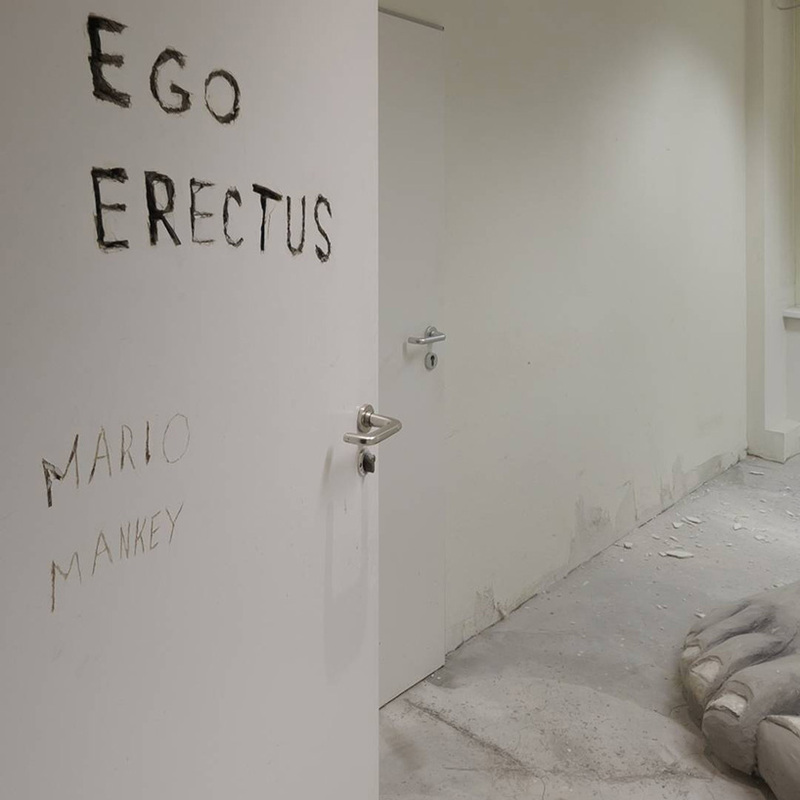 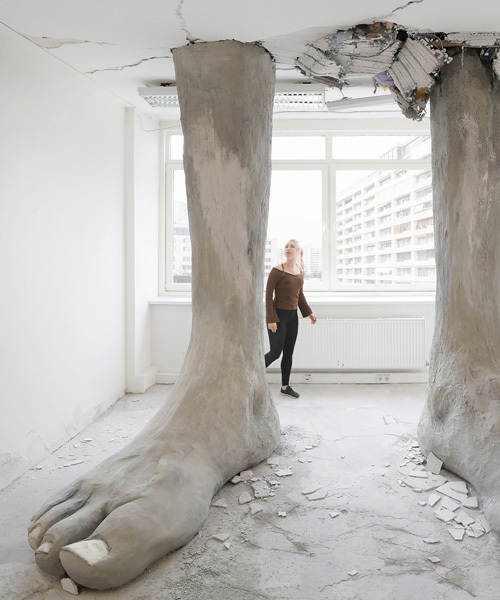 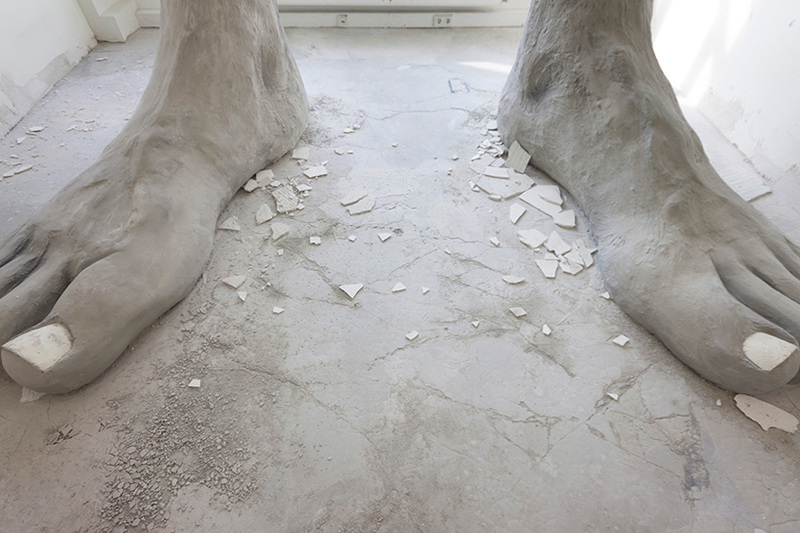 titled ‘ego erectus’, the sculpture takes the form of two enormous feet stomping through the roof of the haus exhibition venue in berlin. 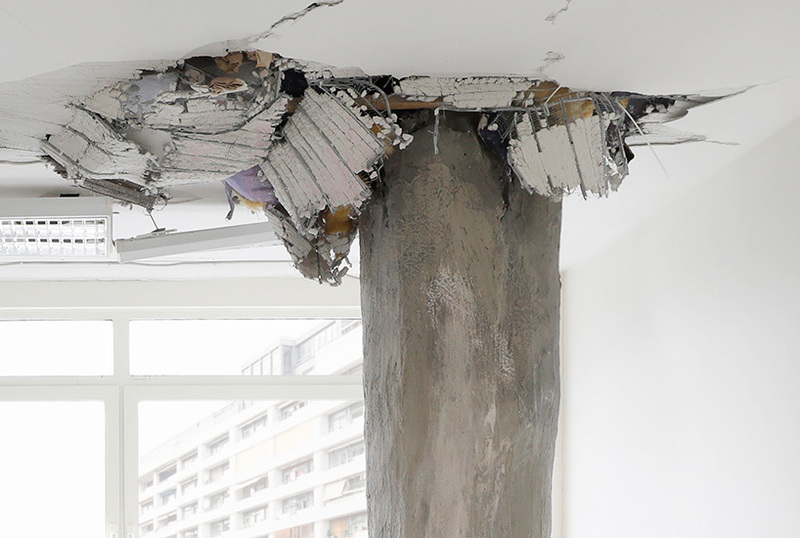 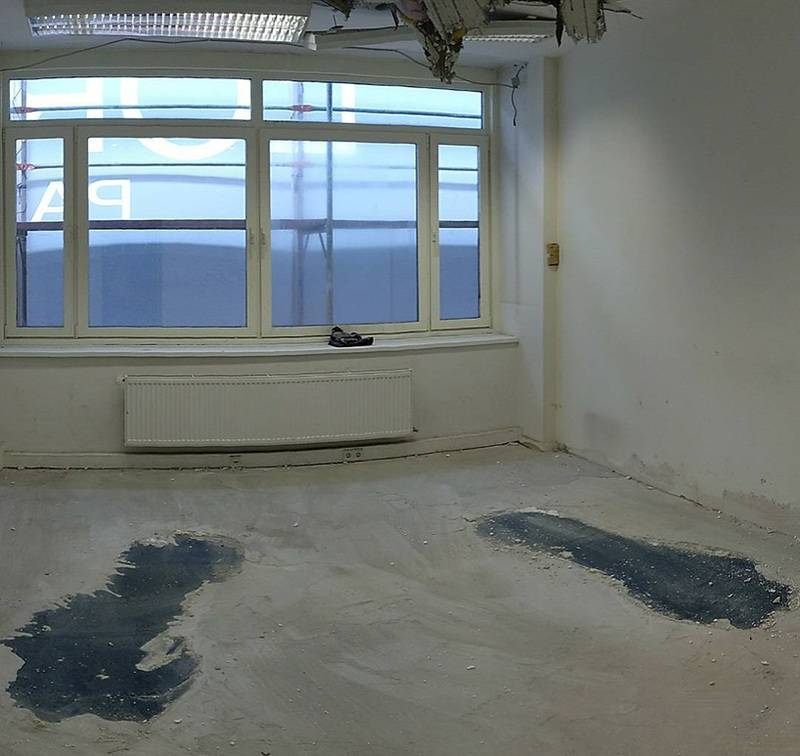 standing in the middle of the room — and seemingly the base of what is a colossal creature hidden in the floors above — the limbs engage with the architecture of the site, with pieces of the ceiling scattered across the floor.